2003 Audi A4 Quattro 1.8l L4. 2004 Audi A4 Quattro 1.8l L4. 2005 Audi A4 Quattro 1.8l L4. 2006 Audi A4 Quattro 2.0l L4. 2007 Audi A4 Quattro 2.0l L4. 2008 Audi A4 Quattro 2.0l L4. 2003 Audi A4 1.8l L4. 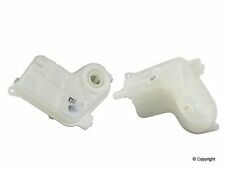 RADIATOR SUPPORT SHIELD IS FOR AUDI A4 2008-2013. THIS ITEM IS OEM AND NEW. "Spectra Radiator --. Interchange part number : Behr 376717234 | Behr 376766264 | OSC Automotive 2556 | Performance Radiator 2910 | ProRad 8012556 | TYC 2823 | Vista-Pro Automotive 433658 | Vista-Pro Automotive 8821. Up for sale is AQ19756 2005-2008 AUDI A4 COOLING RADIATOR ASSEMBLY OEM A41. Model: A4 S-LINE. Make: AUDI. H A V E A N A W E S O M E D A Y! . SEE THE PICTURES CAREFULLY . SEE PICS FOR DETAILS. TO NORMAL DAILY USE. HAVE BEEN TESTED AND OR INSPECTED. EXACTLY AS PICTURED. SEE PICTURES CAREFULLY. 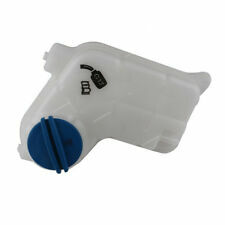 WILL FIT: 2005-2008 AUDI A4 B7 2.0L. UP FOR SALE IS A USED RADIATOR FROM 2006 AUDI A4. 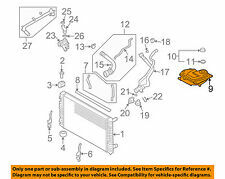 COOLANT COOLING RADIATOR OEM Manual. Removed from a 2006 AUDI A4 2.0T Quattro 6 speed manual. Fits 2004-2009 Audi A4 2.0- excluding convertible and automatic transmission. Item is an OEM part and may have visible wear from normal use. A4 Quattro. A5 Quattro. A6 Quattro. Please double check the fitment before placing an order.Make sure your vehicle matches the fitment description. 2003-2006 Audi A4 1.8L 2003-2005 Audi A4 Quattro 1.8L OE design to ensure exact fit, form and function for an easy drop-in installation Built with high density multi-lowered fins for maximum cooling efficiency Premium OE hardware and fittings included in every box ISO 9001 certified manufacturing plants Lightweight Direct Bolt-On OEM Fitment or Replacement Improve Cooling Efficiency 100% Leaking Tested Plastic tanks with aluminum core . 2005 Audi A4 2.0L 4 Cyl BPG FI. 2006 Audi A4 2.0L 4 Cyl BPG FI. 2007 Audi A4 2.0L 4 Cyl BWT FI. 2008 Audi A4 2.0L 4 Cyl BWT FI. WARNING: This product may contain chemicals known to the State of California to cause cancer and birth defects or other reproductive harm. 2005 Audi A4 Quattro 2.0L 4 Cyl BPG FI. 2006 Audi A4 Quattro 2.0L 4 Cyl BPG FI. 2007 Audi A4 Quattro 2.0L 4 Cyl BWT FI. 2008 Audi A4 Quattro 2.0L 4 Cyl BWT FI. WARNING: This product may contain chemicals known to the State of California to cause cancer and birth defects or other reproductive harm. STK # 5058. We cannot stress this enough. For more information, refer to the attached pictures. Part #: 8E0199521. 2005-2008 AUDI A4 B7. 2008 Audi A4 T. Shown in pictures. No warranty on electric parts. All parts are tested before removal from the vehicle! Must be in original condition, or it does not qualify. Application Summary - 2000 : 08-02 Audi A4; 08-02 Audi A4 Quattro; 05-02 Audi A6; 05-02 Audi A6 Quattro. Key Search Words - 2000 : radiator, engine cooling, rad, car radiator, auto radiator, radiator cap. 2003 Audi A4 Cabriolet RADIATOR; 1.8/2.0 LITER; WITH TRANSMISSION OIL COOLER; PLASTIC AND ALUMINUM. 2004 Audi A4 Cabriolet RADIATOR; 1.8/2.0 LITER; WITH TRANSMISSION OIL COOLER; PLASTIC AND ALUMINUM. 2005 Audi A4 Cabriolet RADIATOR; 1.8/2.0 LITER; WITH TRANSMISSION OIL COOLER; PLASTIC AND ALUMINUM. 2002 Audi A4 Quattro 3.0L V6. 2003 Audi A4 Quattro 3.0L V6. 2004 Audi A4 Quattro 3.0L V6. 2005 Audi A4 Quattro 3.0L V6. 2005 Audi A4 Quattro 3.2L V6. 2006 Audi A4 Quattro 3.0L V6. 2006 Audi A4 Quattro 3.2L V6. 2002 Audi A4 AMB FI. 2003 Audi A4 AMB FI. 2004 Audi A4 AMB FI. 2005 Audi A4 2.0L 4 Cyl BPG FI. 2006 Audi A4 2.0L 4 Cyl BPG FI. 2005 Audi A4 AMB FI. 2008 Audi A4 2.0L 4 Cyl BWT FI. 2007 Audi A4 2.0L 4 Cyl BWT FI.